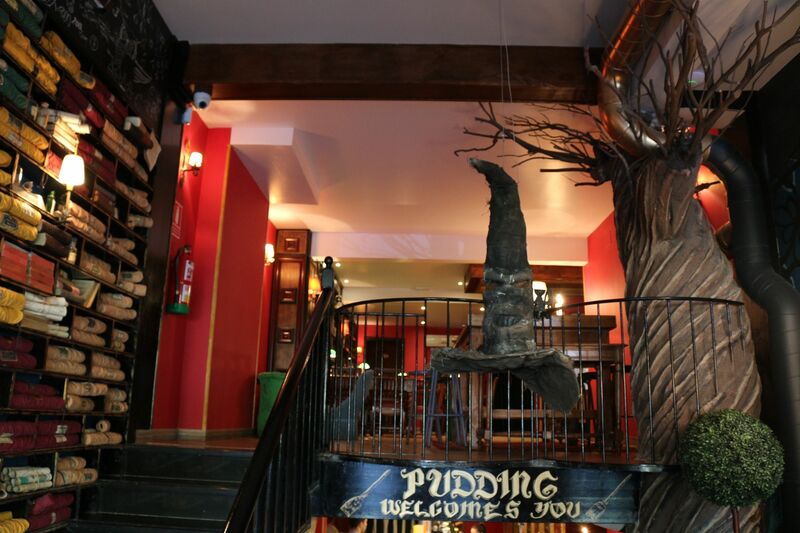 Pudding café is the New Generation of coffee shops. It operates in a different way from all other traditional coffee shops. The concept of this coffee shop combines all ages and is made for parents with kids, students and young professionals. The way of thinking is: Eat+Play+Think, combining all the needs in one location. The entire assortment of cakes, cookies and savory pies are home-made and baked with natural ingredients. The ingredients are directly bought from local suppliers, to support the local community. Entertaining the kids and stimulating them to learn is what Pudding Coffee Shops offers. With board games, a gigantic Blackboard, paper to draw, and several books, your kid is ensured to have fun while you enjoy your coffee and cake. Pudding Coffee Shop also offers the possibility to host workshops. Stimulating learning is one thing that they are destined to do. Find out more here. Are you an absolute Harry Potter fan? Would you love to drink potions made by Herminy? Okay, they might not been made by real wizards, but this location will make you feel like you are inside Hogwards. The huge wall painting will make you feel like you just entered Hogwards. The tables and library downstairs will give you the feeling of being part of a Harry Potter movie. A life long dream. 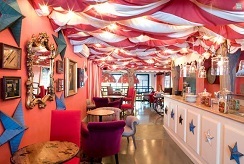 A more girly, warm and cosy theme was chosen for this coffee shop. From the first moment you walk in you feel the warm atmosphere. The walls and ceiling are completely covered in the ‘mushroom’ like colours red and white. 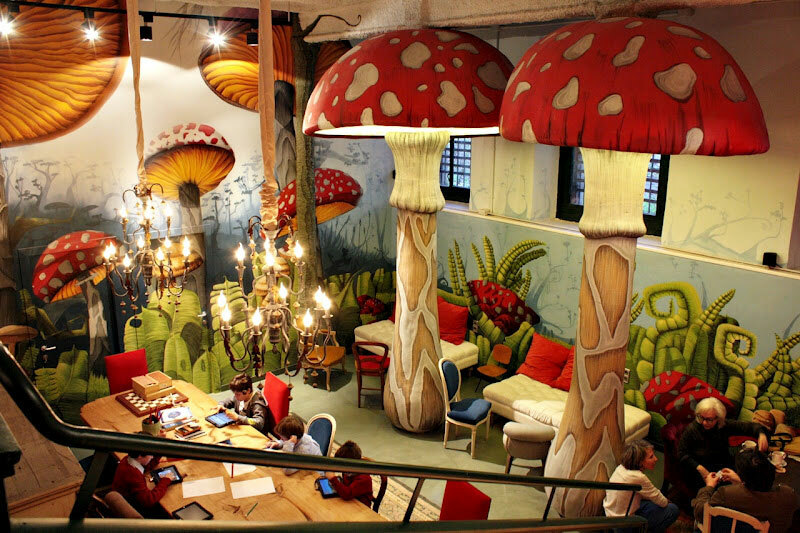 At the end of the café you will find the downstairs department including two massive mushrooms. A colossal table provides enough space for everyone to be creative and play. Pudding coffee shop is definitely the new generation of coffee shops. By implementing a specific theme it is truly unique and it brings drinking a coffee to another level. This café is certainly worth a visit while you stay in our family hotels in Barcelona! What beach to choose in Vilanova i la Geltrú?